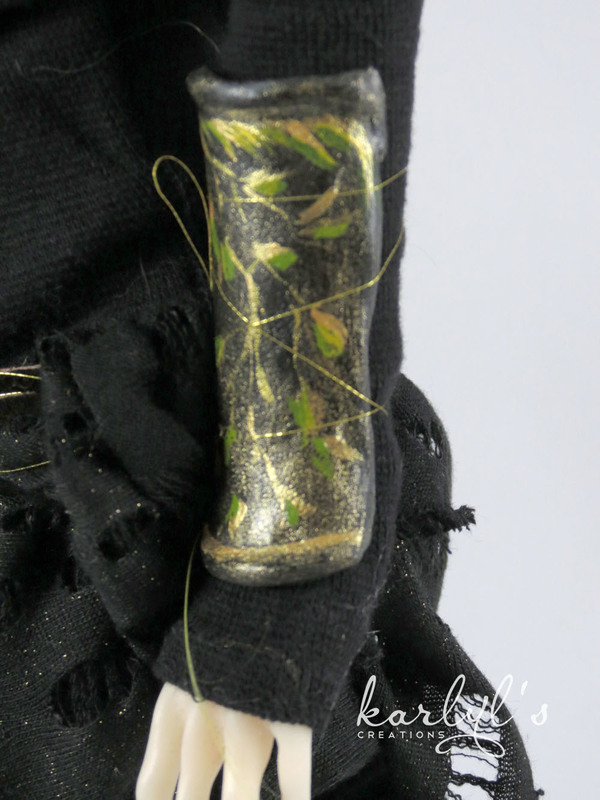 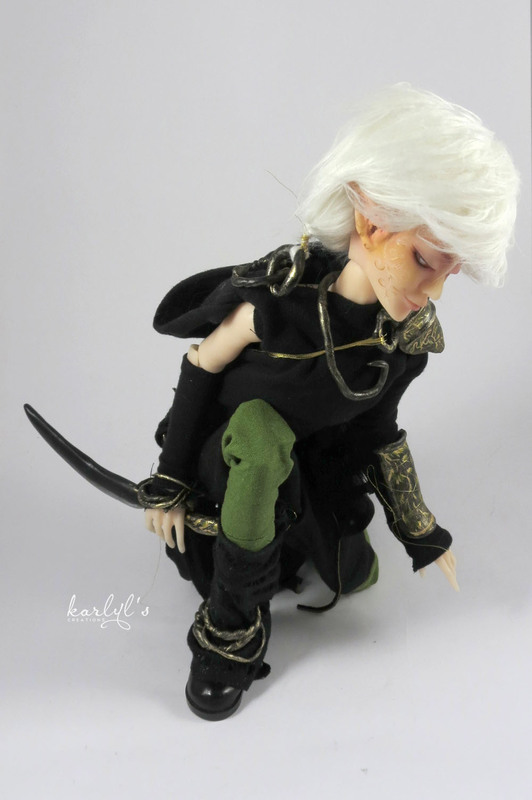 This listing is for a One of a Kind (OOAK) Creation, Elf Ranger Jelani! 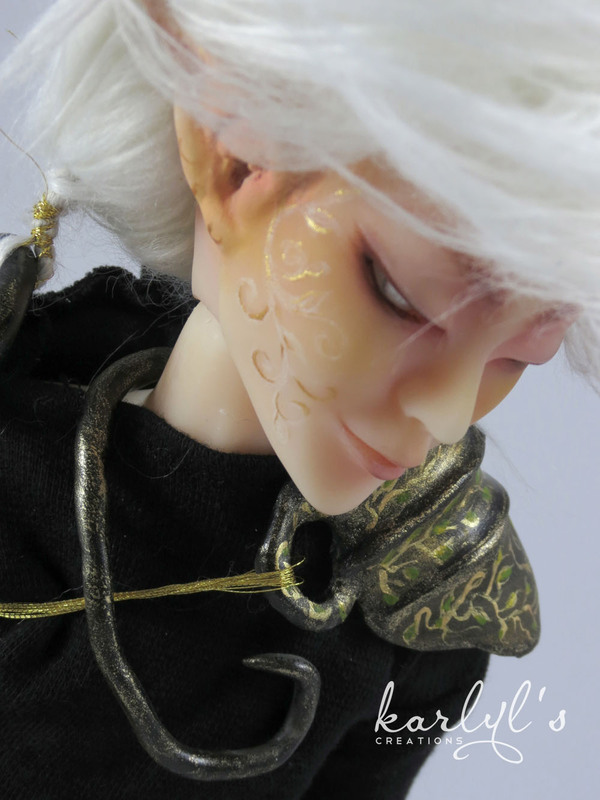 He is the pale peach skintone and has custom elf ears made of epoxy resin with a custom faceup. 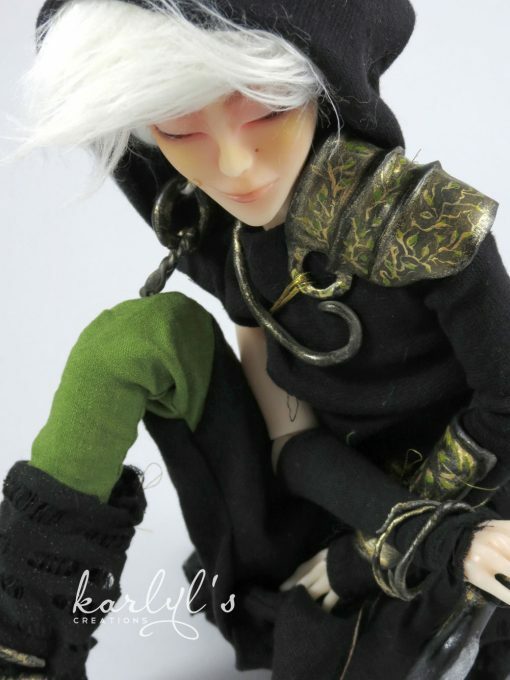 His body has body blushing and has been sealed and leather sueded in the joints. 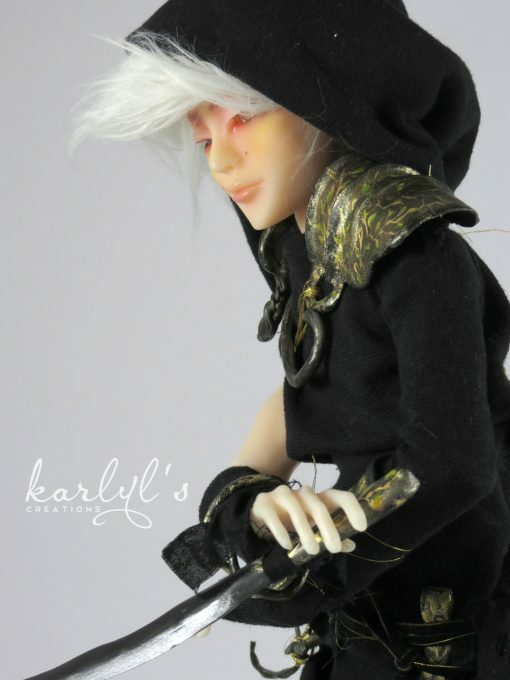 He comes with a custom styled white fur wig and custom metallic silver acrylic eyes. 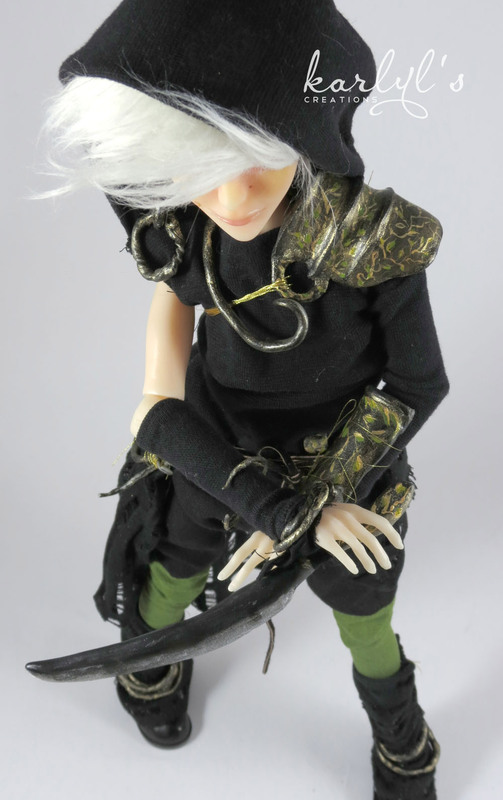 He also comes with one of a kind custom painted armor and accessories, as well as a custom costume as shown. 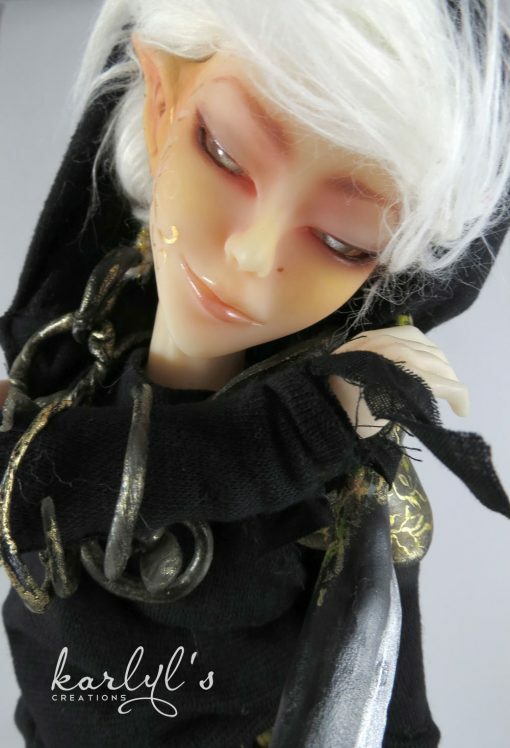 He will come with a certificate of authenticity. 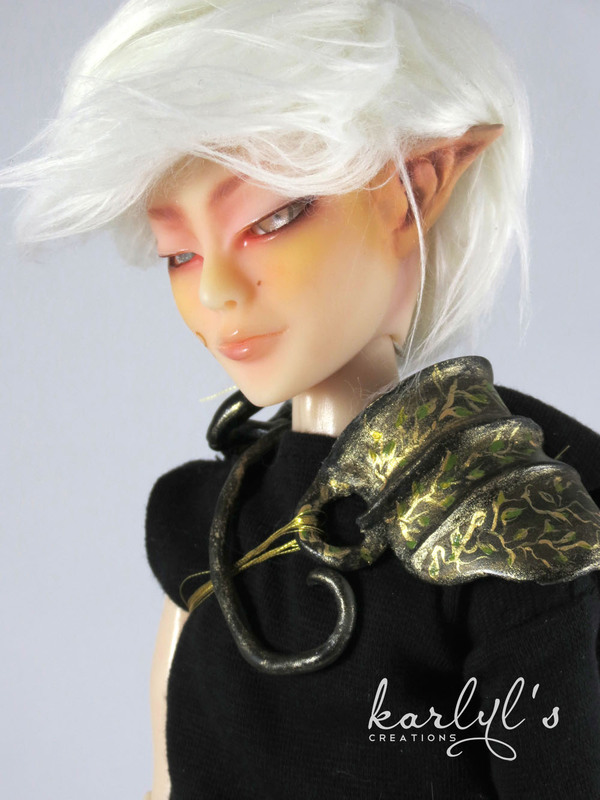 Elf Ranger Jelani will be the only doll just like this one! This doll is already created and can ship in 5-6 business days after payment. 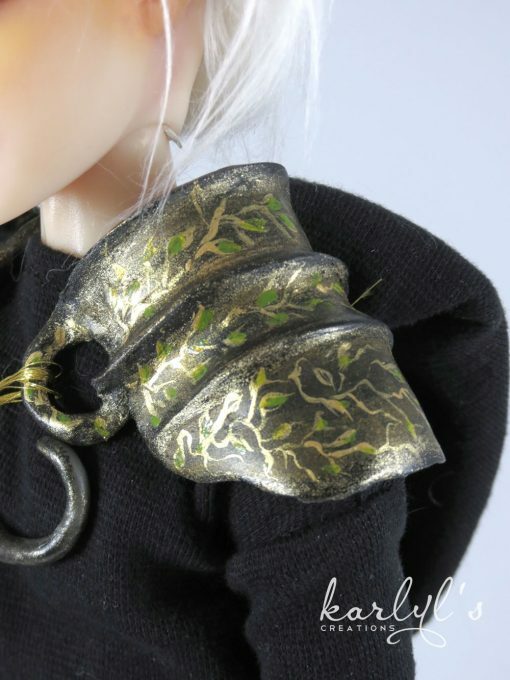 He will be already dressed due to his outfit complexity, but carefully wrapped for shipment. 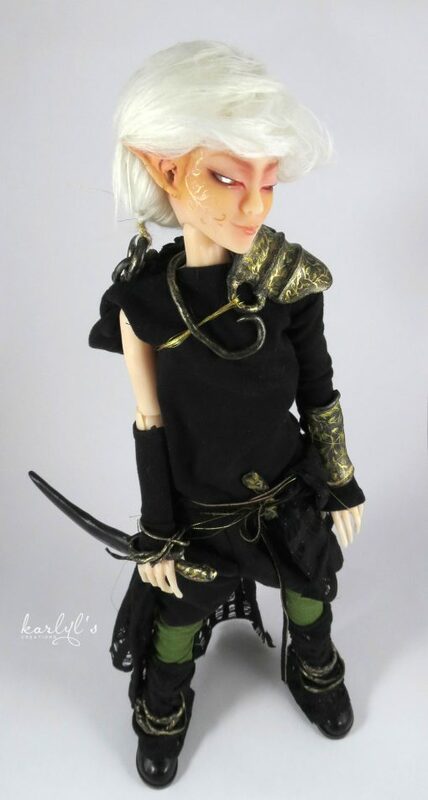 Please note that this doll is NOT FOR CHILDREN and is a collector item for display. His ears and accessories are fragile so exercise caution when posing him.